Legionella Control International is the UK’s leading legionella testing company offering a comprehensive suite of laboratory tests including UKAS-accredited legionella analysis, sampling and water quality tests for landlords, building owners and operators, facilities managers, duty holders and the responsible person. We test water and other environmental samples for the presence of Legionella bacteria and other waterborne pathogens commonly found in man-made water systems and can tell you if your water meets current legal standards, and if not what you need to do. Our confidential water quality analysis and interpretation and support services are cost effective, accurate and incredibly reliable. They have been developed to produce accurate test results that can be relied on, and support the control, compliance and environmental risk management activities of our clients throughout the UK and around the world. The periodic sampling and testing of water sources for the presence of this bacteria is a valuable means of demonstrating to the regulator, clients, building occupiers, colleagues and others that adequate control over a water system is being achieved and maintained and that levels of legionella are kept within safe limits. We are a world-leading water safety and legionella risk management company offering a range of specialist services to help landlords, business owners, property and facilities managers, the duty holder and responsible person. We are expert in the delivery of pragmatic health and safety solutions that include the control of legionella and Legionnaires’ disease, legionella testing and analysis, the development and implementation of water safety control schemes, compliance auditing, City & Guilds training courses and software solutions to organisations throughout the United Kingdom and internationally. If you would like to learn more about our legionella testing and water quality analysis services and how we can help you develop practical plans that keep people safe, protect your reputation and demonstrate to the regulator that you are taking reasonable steps to manage the legionellosis risks in your workplace then call us on 0330 223 36 86 or use the contact button below. Our expert laboratory based UKAS legionella testing, water quality analysis and microbiology services operate to strict quality control and laboratory accreditation standards to ensure accuracy and reliability. We are members of the UK’s Legionella Control Association (LCA) and are formally approved by them to deliver several specialist services including the testing and analysis of water samples for legionella bacteria. Additionally, our management systems are certified to ISO 9001 and ISO 14001, the international standards for quality and environmental management systems. Many laboratory service providers simply present clients with the results of each test without any interpretation or support. However, we are leading experts in the control of Legionnaires’ disease, legionella bacteria and other water pathogens and have extensive experience in the analysis, interpretation and practical management and control of such risks. This means we can explain in jargon-free language what the results of individual tests mean for you, how your risk management activities may be affected, and help you develop a practical plan to resolve any problems that are identified in an effective and timely manner. Regular sampling and testing of water for the presence of legionella bacteria is a valuable means of demonstrating to the regulator and others that adequate control over a water system is being achieved to keep it safe. The periodic sampling and testing of water sources from man-made systems for the presence of the bacteria is a valuable means of demonstrating that adequate control over such a water system is being achieved. Put simply, if you don’t test your water how do you know it does contain unsafe levels of bacteria! Additionally, the analysis of samples from water sources suspected of being contaminated with bacteria is also an important forensic tool that can be used to identify possible sources of risk within a water system. How does Legionnaires disease testing work? Qualified microbiological laboratories are experienced in the detection of legionella bacteria. 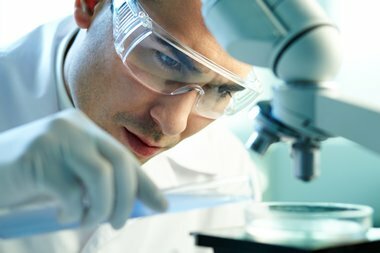 Using specialist techniques, they can identify specific serogroups in individual samples which can help to forensically identify the source of an outbreak of Legionnaires’ disease. How long does laboratory testing take? UKAS accredited testing and analysis procedures are typically performed using a standard culture procedure. This culture method usually takes between 10 and 12 days to complete. However, if analysis indicates a potential positive result for the presence of legionella bacteria during the testing phase, you will be notified immediately and the implications of the preliminary results explained in detail. What’s the difference between legionella testing & sampling? Many people think these refer to two separate methods of legionella testing. However, sampling merely refers to the process of taking the water sample – collecting it so it can later be tested under laboratory conditions. When you use our legionella sampling service, you can rest assured we will undertake professional sample collections, in accordance with recognised British Standards. Furthermore, we will test those samples in a UKAS-accredited laboratory, ensuring you get reliable and accurate results each and every time. Each water sample tested will receive a UKAS stamped test certificate which should be retained but can also be used to demonstrate to the regulator the effectiveness of your scheme of control. Who can be appointed to test & monitor legionella? Anyone can take on this task, but they must have proper knowledge and understanding of the tasks to be completed. Training is typically advisable, to ensure there is a complete understanding of the steps required to keep the samples and water system free from contamination. While you can do it yourself, providing you are competent to do so, in practice, many people decide to hire a competent expert to handle this aspect of testing and monitoring on their behalf. It is vital to follow the correct British Standard developed for use in these instances – BS7592. This standard applies to the sampling method developed to test and/or monitor legionella bacteria in water systems. If a biocide is used in the water treatment process, it should ideally be neutralised beforehand. All water samples collected should then be tested by a UKAS-accredited laboratory. All the samples our experts take when assessing a site for legionellosis risks are tested in this manner. How often should I test water for legionella? Extensive guidance about when to test water for legionella is available in the HSE’s guidance document HSG274. Part 1 of the HSG274 guidance which deals with evaporative cooling systems including cooling towers calls for the make-up water and cooling water itself to be tested for both microbial activity and Legionella. Dip slides are typically used to monitor microbial activity in the make-up water every three months, while the cooling water itself should be monitored on a weekly basis. In addition to this, the guidance requires the cooling water to be tested for legionella every three months at a minimum. If there are issues with the legionella test results from the cooling system, or there are changes evident that indicate a lack of control, more frequent testing may be prudent until good control is re-established. Part 2 of HSG274, which deals with hot and cold water systems says that testing of mains fed domestic water systems is not usually required unless the risk assessment or on-going monitoring programme suggests there may be a problem. If you have a closed water system that is not exposed to the atmosphere, ongoing monitoring would not typically be required. However, if there are ever any concerns or doubts over the cleanliness of the system, water temperatures, or other elements, more regular testing would again be a good idea. The rule of thumb, therefore, is not to assume your system requires testing at specific intervals. Rather, you should meet the minimum requirements and take input from your system, a risk assessment, and resultant tests, to determine the most appropriate testing regimen. How do I interpret legionella testing results? This is perhaps the most complex part of the analysis process. It is one reason why many people decide to enlist the help of an experienced team of experts, who are trained to obtain and interpret test results for legionella in hot and cold water systems, cooling towers and other engineered water systems. By hiring an experienced team, you can be certain every aspect of your own water system will be covered, and that any potential risk of Legionella can be identified, isolated, and treated, so it is not allowed to develop into a greater risk in the future. The levels of bacteria present, the nature of the water system, and the risk assessment undertaken will all contribute to the appropriate steps that should be taken. The HSE’s technical guidance HSG274 contains further information and advice relating to interpretation of test results and which actions to take following those results. Are there alternative methods of testing? The current process involves sampling and testing cultures in UKAS-accredited laboratories. Typically, 10 to 12 days are required for cultures to be developed to attain a result. This may not be fast enough in situations where there is already a suspicion there could be elevated levels of legionella and other water-borne bacteria in the water system. What about the qPCR test methods? An alternative is to use the quantitative qPCR assay method, which reduces the testing time to just two days. This is recognised as a preferable route to take where there is a suspected outbreak of Legionnaires’ disease; where there may be doubt over the efficacy of current cleaning and disinfecting methods; and where this form of testing is used as a regular way of checking the situation on-site. In the latter case, proper use of the culture method should also be in place; however, the quicker qPCR test may prove useful in-between those testing regimens. It should be noted the qPCR samples should not completely replace the gold standard use of cultures to get results. They can, however, provide additional information and faster results in situations where speed is of the essence. When faster qPCR testing does indicate the presence of elevated levels of legionella bacteria, appropriate steps can be taken to ensure the water system is treated, and that people at risk can be protected. But further in-depth testing via cultures should also be done to get more in-depth results over the longer period of time. If time is of the essence and accurate results are required urgently, we also offer an innovative rapid DIY test (LegionellaFast) which uses the latest “rapid-test” technology to detect legionella bacteria in water. Our handheld LegionellaFast is quick and simple to use and will deliver very accurate, easy to use, easy to understand YES::NO test results on-site in only 25 minutes. Do you need water testing or a risk assessment? Domestic hot and cold water systems do not generally require testing for legionella unless there have been problems, the system is out of control or you suspect it may be associated with a case of Legionnaires’ disease. However, if you are the duty holder or responsible person, you do have a responsibility to confirm the water system is safe and not at risk of becoming home to dangerous levels of bacteria. Every landlord and business in the UK that operates property, facilities or equipment and stores or uses water in any way will be required to conduct a legionella risk assessment – it is a legal requirement. While you can do this yourself, and test the water supply if required, wouldn’t it be easier to hire the experts to do it for you? This ensures you will be covered, and you will have the peace of mind of knowing your premises are safe, and that you have missed nothing. Another point worth noting is that a water system that is open like a cooling tower or water feature, will likely be at greater risk of contamination than one that is closed. If the system is open, there is a greater chance of contaminated water droplets being spread through the air and being inhaled by people in the vicinity. By adopting a pro-active approach to legionella risk assessments and testing, you can make sure your business is protected, and that you are doing all you can to ensure no one is at risk of infection. From our offices in London, Manchester and Glasgow our experts serve landlords, building owners, and property and facilities managers across all regions of the United Kingdom, Europe and internationally delivering UKAS legionella testing, risk assessments, independent auditing, training and other environmental risk management services.